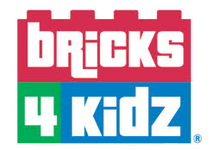 Bricks 4 Kids is one step hub who endeavor to provide an enriching learning experience for your child by using the amazing LEGO bricks. Our whole notion of edutainment program revolves around Stem Education in Singapore i.e science, technology, engineering, and maths. The motto of our program is to provide fun and learning experience to the children and develop numerous skills like problem-solving ability, organizational skills, creativity, teamwork etc. Our LEGO model focuses on building the raw scientific approach in the child. From deploying the concept of physical science to learning the core laws like the law of motion, it will demand children to apply what they have learned in their build. Science and technology are strongly interconnected. The technology utilizes science to create the new inventions and solve problems. In our edutainment program, children will use their creativity and problem-solving ability to find out the most feasible solutions of the problems given to them. Engineering is all about creating and designing the new structures. In an indirect way, kids will use their engineering skills to construct the practical models like bridge and towers. Math is a technical expression of the science. We will provide your children the opportunity to use their math skills and build the astonishing things with LEGO bricks by measuring and counting the blocks.